We split our commission with you, so you get cash back at closing. 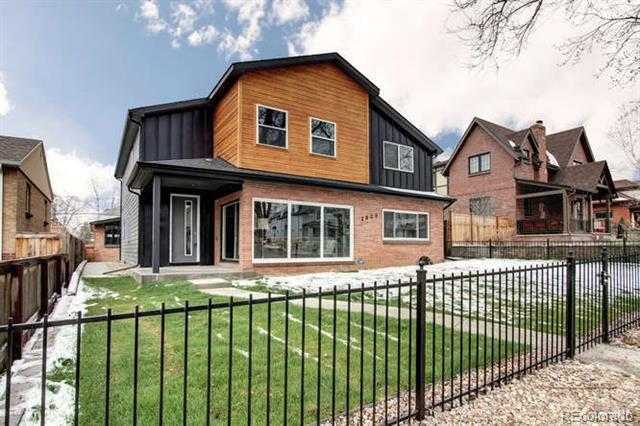 Incredible expanded pop top in super hot Sloan's Lake/Highlands district. No detail is missed in this wide open floorplan designed to maximize use of space & functionality while using excellent high end finishes throughout. Main level includes huge living,dining,study,laundry & kitchen spaces w/2 baths & walk in pantry & 10ft island, all looking out through folding sliders to wonderful exterior living space.Extra wide staircase leads to the upper level boasting a huge master suite & 3 additional expanded bedrooms + loft.The suite is thoughtfully appointed w/covered balcony & outstanding 5-pc Master bath.The extra large outdoor space includes full professionally designed landscaping (near completion due to weather) all new patio,walkways and covered entry with expanded 2+ car garage. Blocks to the center of Highlands square shops and restaurants and the beautiful Sloan's lake park make this a truly rare opportunity to have the best west Denver has to offer.Hurry this one will not last! !